Need a Plumber in Deerfield Beach? 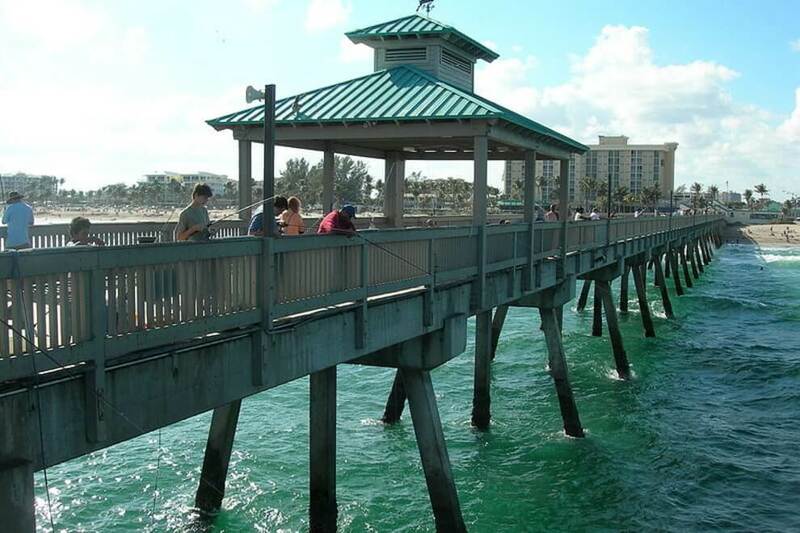 When Deerfield Beach residents need a break, they ‘catch a wave’ by the pier. When they need a plumber, they call Deerfield’s largest plumbing company – Plumbing Experts! NO EXTRA CHARGE for Weekend Emergency Plumber Service! Toilet overflow? Drain backed up? Plumbing Experts plumbing service company has been performing toilet repairs and unclogging drains in Deerfield Beach for over 45 years! That’s right after the “The Cove” neighborhood was established ‘back in the day’. Deerfield Beach Trivia – Did You Know? The population of Deerfield Beach is 80,571 according to the latest figures from the US Census and was actually named because of the abundance of deer that used to roam free in the area. We have thousands of happy customers in Deerfield Beach. Our plumbers help the restaurants on A1A and Hillsboro Blvd. with their grease trap cleaning and maintenance. Quiet Waters Park is one of the most popular attractions in the area. Where else can you go to a water park, go trail riding on your bike and ride horses the same day? At 430 acres, this park also hosts the nationally popular ‘Renaissance Festival. Wait a minute, who’s handles the plumbing service for all those medieval knights and lasses? There wasn’t even indoor plumbing back then! In fact there are very few septic systems and drainfields left in Deerfield Beach, as most residents and all businesses are on the city’s modern sewer system. But there is now; so whether you live in Deer Creek off Deer Creek Country Club Blvd. or the Enclave Apartments off 10th street, Plumbing Experts plumbers service technicians are only a call away. Our plumbers live and work in the area and we like to help our neighbors with any issue, from a leaky faucet, to a water heater installation, from shower pan installations to weekend plumbing emergencies – call our plumbers first! (no extra charge for weekend service! If you happen to need the pipes / water lines under your home or business replaced or repaired, Plumbing Experts plumbing service can use the latest hydro excavation techniques to get to your plumbing pipes without damaging your floors or property! Call us if you need tunneling services in Deerfield Beach.